Patriots Park is a 32 acre park located in Cherokee County, Georgia. The centerpiece of the park is Freedom Field, an adaptive use field serving those with disabilities. The design supports those with low vision, those who are hard of hearing, and those using wheelchairs. A multi-use trail meanders through the park providing views of the action and peaceful areas throughout the woodlands. 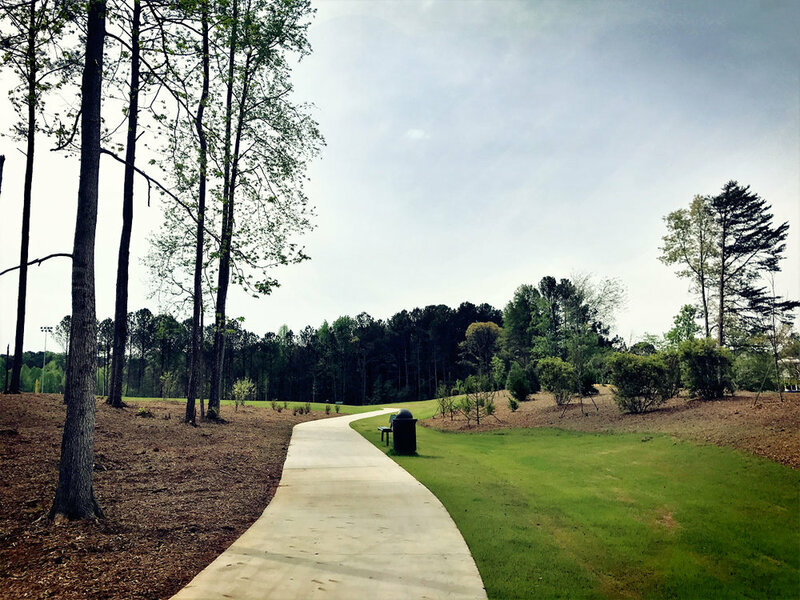 The park includes little-league baseball fields, dog parks, and over twelve acres of preserved space. SPG also created the name and designed the signage for the dog park, Pawtriots Park. Freedom Field is comprised of a special surface adaptable to various activities and sports. Initially, SPG coordinated with Shaw Industries to construct a small prototype of the playing surface. The Miracle League typically uses fields with poured in place rubberized surfaces. However, these fields are smooth so they look and play differently than conventional fields. Traditional synthetic turf is too soft and difficult for wheelchairs to navigate. By using a combination of short synthetic turf and a rubber pad base, SPG and Shaw Industries created a field that successfully supports those in wheelchairs and walkers. The final product combines Shaw’s TruHop 46 synthetic turf and a Brock Powerbase to provide stability and cushion. The the inclusive playground utilizes a similar surface, with fully ADA accessible playsets. 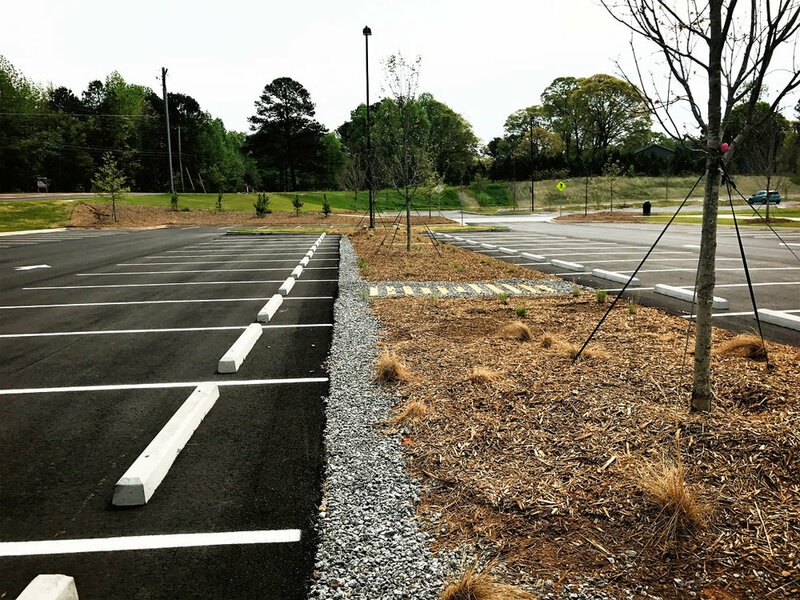 In addition to park components, SPG designed stormwater treatment facilities including dry stream beds, bio-retention ponds, infiltration trenches, and micro-pool extended detention ponds. These elements treat runoff and provide natural features within the park. The stormwater system was designed to mimic the pre-existing natural watershed and provide multiple areas of runoff mitigation and infiltration.